"Close to the Academy and trails for walking or jogging. Good restaurants across the street. Great housekeeping. I slept well, but my husband thought the bed was too firm. The hotel staff was super friendly. The gym was perfect. Breakfast had options for everyone. 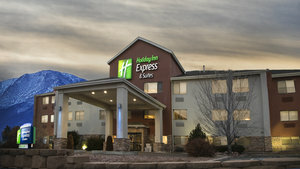 Good place to stay.2015-09-11"
Learn more about Colorado Springs Hotels & Motels in our Colorado Springs Hotels Guide.